When was the last time you had a song or jingle stuck in your head? For me, it has been the last 2 weeks and the song that is stuck is the “musical fruit”. You know, “beans, beans, the musical fruit, the more you eat the more you toot”. I’m not sure where it came from, but it seems everyone has heard different variations of this classic childhood rhyme. This song got me thinking about how many people write off beans simply because of a “musical” past experience. When I say beans, I’m talking about the wonderful world of legumes including things like black beans, butter beans, great northern beans, garbanzo beans, and lentils. Surprisingly enough, from a botanical sense, beans are technically a type of fruit. The bean pod serves as a way for the plant to nurture and spread its seed. Beans are unique because they provide a dense source of nutrition which is hard to categorize under only one food group. From a nutritional perspective, beans as classified as a grain as it seems to be the closest fit. They may not be as “musical” as you once thought. Generally speaking, gas is produced in our intestines as naturally occurring bacteria break down fiber from the foods we eat. People who are unaccustomed to high fiber foods are likely to experience more gas than those who eat a variety of fiber-rich foods consistently. The fix…? Try gradually increasing the amount of fiber in your diet, including beans. Remember to drink plenty of water to help move that fiber along, too! They pack a powerful nutrition punch! Because they are so rich in fiber, minerals, and vitamins, beans may help to reduce risk of heart disease and colon cancer. In just a ½ cup serving, legumes provide about 120 calories, 6 grams of fiber, 7 grams of protein, and virtually no fat. Finding this great balance naturally in a food is miraculous! They also are a good source of iron, folate, potassium, phosphorus, and zinc. They’re cheap. Unlike many animal sources of protein, legumes are generally easy to store and cost as little as $0.10 per serving. Want to stretch your grocery budget? Try substituting ½ lb of ground meats with 1-2 cans of your favorite bean. This also works with about 1.5-3 cups of soaked, dry beans. They are versatile. Beans can replace some (or all) of the ground meats in many of your favorite recipes. They are fantastic in casseroles, tacos, as salad toppers, and to turn a vegetable soup into a balanced meal. They are filling! Because of their rich source of protein and fiber, beans can keep you feeling full for longer periods of time than many other grains. They are a great complex carbohydrate for athletes (and non-athletes, too). Rather than just loading up on commercially made sports gels and drinks, including beans regularly at meals and snacks can help to replace electrolyte losses from sweat… ultimately meaning better overall performance! 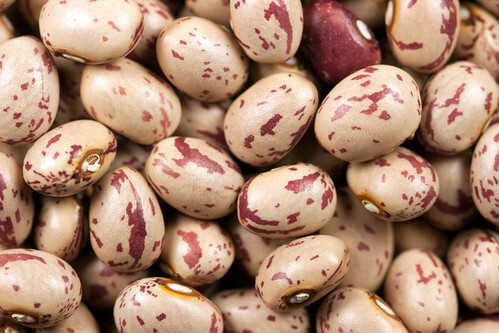 For some quick bean recipes and ways to soak dry beans, check out this link: http://www.ag.ndsu.edu/pubs/yf/foods/fn1485.pdf. Paleo diet excludes most beans. So many different ideas about what is actually good and what isn’t. In my 64 years I’ve seen “thoughts” change often. The science can be tricky. If nothing else, MODERATION in everything is the best way to go! Sarah is in love with food and fitness! As a registered dietitian and health coach at BCBSM, she embraces the opportunity to be able to share her enthusiasm and knowledge with people everywhere. She is a proud MSU Spartan, and treasures all things outdoors including running, camping, and backpacking.